"It&apos;s going to be fine!" He reassured her again. She wrung her hands nervously. "You&apos;re sure their girlfriends are coming too?" She looked up at him. He grabbed her shoulders and turned her to face him. "Everything is going to be okay! Why are you so nervous?" He hugged her tightly. "Because your friends hate me." Except Jin. She added silently. "They don&apos;t hate you!" He yelled exasperated. "Whatever. Where are we going anyways?" She asked. "We&apos;re just going to hang out at my place okay?" He sighed. "Alright." It was nice she would be somewhere familiar. She would probably mostly stick to Suga, Jin maybe, and possibly Hyunsook. She would be there for Jungkook right? She may even talk to Jimin, for Eunsuh. She needed to get back on Eunsuh&apos;s good side. She missed her. Eunsuh and Misook were probably her best friends and it was stupid of her to lash out like that. She sighed and they walked the rest of the way in silence. When they entered the house, she could already hear the talking and laughter. They were probably the last ones even though this was Suga&apos;s house. When they entered the living room, everyone went silent. She stood stock still for a moment before waving and moving away from Suga. Suga joined his friends and the talking resumed again. Jin broke away and came over to her. "You should go talk to the girls first. They won&apos;t bite. 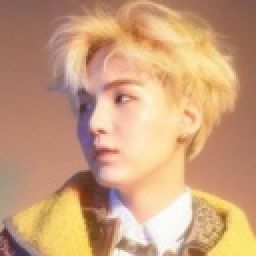 Suga will check on you every now and then, but he wants you to make friends. He&apos;s never really had a steady girlfriend before you so he&apos;s confused. Just bear with him. It won&apos;t be terrible, just steer clear of J-Hope and Jungkook, they probably hate you the most right now." He murmured quickly. "Good luck." She nodded and he rejoined the boys. They were talking and laughing carelessly. Rapmon was watching her. She looked away and slowly made her way over to the girls. What else could she do? "New?" One asked. She nodded. "Good luck. I&apos;m Chaewon, this is Gyuri, and this is Yoonhee." They all waved and smiled. Hyunsook wasn&apos;t there, she sighed internally. "I&apos;ve been here longest. I&apos;ll be most helpful, these lazy slugs are rookies." Gyuri sneered playfully. "Who&apos;s girlfriend are you?" She asked, nearly wincing at her grammar. "Oh my god! You&apos;re Suga&apos;s girlfriend right?" Yoonhee asked excitedly. She nodded and sat down. They all leaned towards her. "What&apos;s he like?" Chaewon asked. She opened her mouth to answer. "Is he ripped?" Gyuri asked. She turned to Gyuri. "Is he a good kisser?" Yoonhee asked hungrily. "What?" She burst. She felt a hand on her shoulder. She turned, it was Suga. "Yeah." She actually was. These girls were rather amusing and funny and light-hearted. He kissed her softly. "Good." He giggled softly and walked back to the guys. "What was that!" Yoonhee screeched. "Suga has never, ever, ever acted like that before!" Chaewon squealed. She felt herself blush. "He&apos;s sweet. That&apos;s how he is all the time." She murmured. "What!" They screamed in unison. She laughed. "Were his lips soft?" Yoonhee asked. "Keep it down!" V came over and grabbed Gyuri. He kissed her sloppily. He was showing her off to the other guys. She felt slightly disgusted. Was that what they all did? Poor Gyuri, she was just an accessory. "Get a room!" Jimin groaned. The pair laughed and sat back down. She smiled weakly at Gyuri. Gyuri glowed proudly. "God, Suga&apos;s so different around you! I don&apos;t get it at all. I bet the guys hate you." Chaewon leaned forward. "Yeah they probably do. Especially J-Hope and Jungkook." She sighed. "J-Hope can get so jealous. I swear he&apos;s gay. But he&apos;s a great kisser and I guess I kinda love him." Yoonhee gestured in his direction irritatedly. "Why would Jungkook hate you?" Chaewon asked puzzled. 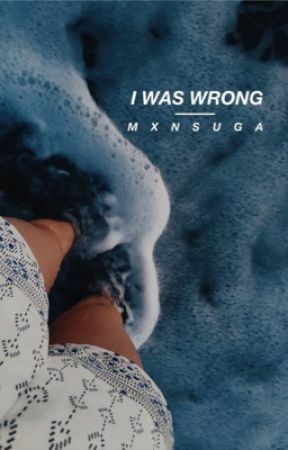 "Oh, Suga ruined his party in a stupid fight between me and my ex boyfriend. He just wouldn&apos;t leave me alone." She grumbled. "I know right? Like once you find someone better they pretend they&apos;ve changed its so stupid." Gyuri agreed. "The party Jungkook threw a couple weeks ago." She looked at Chaewon puzzled. She looked upset. "How did he host without a date?" Chaewon pouted. "He had a date." She looked at Chaewon. What was she talking about? "This girl Hyunsook from my school. What&apos;s going on?" She looked at the girls. "Chaewon&apos;s Jungkook&apos;s girlfriend." Gyuri whispered. Chaewon stood. What the f**k did she just do? .....also, did I spell forty right? I&apos;m super confused about that is it forty or fourty?